China Research Institute for Science Popularization (CRISP) was authorized to take form by the State Council in 1980. It’s a non-profit organization. The proposal for such an institute was initiated by Mr. Gao Shiqi, the famous Chinese scientist and science writer. Subordinate to the China Association for Science and Technology, CRISP now stands as a unique national institution dealing specially with studies on science and technology communication. 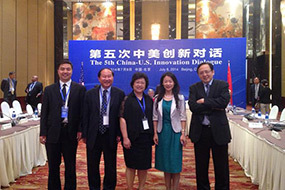 At present China Science Writer’s Association(CSWA) is affiliated to CRISP. Being a research establishment on state level, CRISP devotes itself to fundamental science affair studies and pursues its goal in the interest of public good. Its principal objects emphasize: both theoretical and applicable researches in regard of science popularization as well as parallel studies of equals concerned between China and other countries. 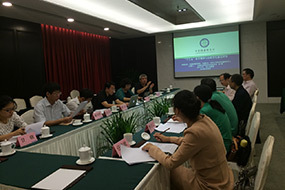 In recent years, CRISP has been undertaking more than 40 research projects each year and developing collaborating relations with diverse research organization from overseas. 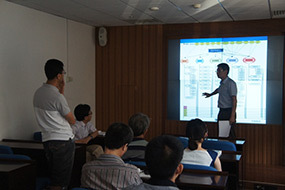 During the past years, CRISP has been developing a series of facts-finding research projects, such as “science and technology communication and its contents, channels, target audience and mechanics”, “survey, monitor and analysis of public science literacy”, “investigation and theoretical study on science popularization resources”, “science writing and science writers both within and outside China”, “theoretical study on informal science and technology education,” “investigation on science and technology weight in mass media”, “evaluation theory The results are fruitful and have served the relevant departments of the government beneficially in making policies regarding science popularization. CRISP possesses a structure supported by several professional divisions. They are Divisions for: Science Popularization Theoretical Studies, Information Research, Science Literacy Research, CSWA Secretariat, Human Resources, and Administrative Office. 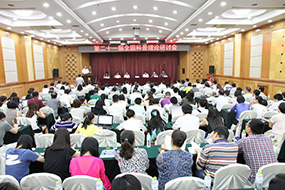 The outputs include: a bi-monthly “Studies on Science Popularization”, annual “Science Popularization Report of China”. Its web-site writes as www.crsp.org.cn or www.crisp.org.cn.